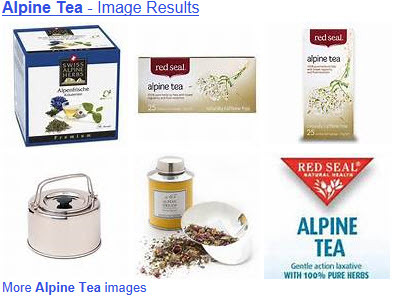 These days labeling a tea as “Alpine” seems to be the latest marketing gimmick. Or is it more than that? My curiosity was piqued, so I started digging in to the details of it. Generally, teas are labeled as “alpine” if produced in highlands, that is, at elevations of over 1,000 meters. Some vendors just call these “high-mountain” teas. Others refer to them as “[mountain name] [tea type]” such as “Alishan Oolong” or “Wen Shan Bao Zhong” and use “alpine” in the description. Then there’s the Alpine Tea Co. which grows and produces a green tea lighter in flavor than but similar to Japanese Sencha. They are located in the Alpine Valleys region of the Victoria territory of Australia. Generally, this list shows that Australia has several peaks high enough to qualify as “alpine” (whether tea is grown on them or not is another matter – some of the peaks are in tea production areas, primarily northern New South Wales and Queensland, and of course the Alpine Valleys region of Victoria previously mentioned). The herbal version: The Red Seal tea company in New Zealand also seems to think the name “Alpine Tea” is great for marketing and uses it on an herbal infusion used for regularity – ingredients are Buchu (Barosma betulina), Senna leaf (Cassia angustifolia), Cleavers (Galium aparine), Couchgrass (Agropyron repens), Fennel seed (Foeniculum vulgare), Ginger root (Zingiber officinale), Marshmallow leaf (Althaea officinalis), and Yarrow flowers (Achillea millefolium). Another vendor calls this “Alpine Berry Tea.” Neither comes from anywhere near the Alps as far as I can see. of, pertaining to, on, or part of any lofty mountain. (initial capital letter) of, pertaining to, on, or part of the Alps. Botany . growing on mountains above the limit of tree growth: alpine plants. (often initial capital letter) of or pertaining to downhill skiing or a competitive downhill skiing event. Compare Nordic (def 3). It seems that “alpine tea” is another of those confusing terms being bandied about like “herbal tea” and calling rooibos by the name “red tea.” And it seems just as unlikely that anyone will ever get the muddle cleared up. So here’s to tea term confusion – may it ever prompt you to dig a bit deeper and discover the reality. Get Your Vitamin C With Tea? What Gives Tea Its Aroma?